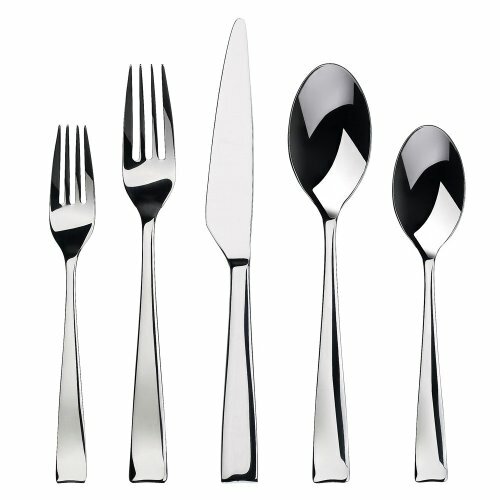 We have posted about cutlery from Gourmet Settings a few times in the past for their unique designs. This 20-piece Gourmet Settings Strand flatware set is a service for 4. Which includes a salad fork, dinner fork, knife, soup spoon, and teaspoon. Made with 18/0 stainless steel that is dishwasher safe with a 50 year-warranty. It coordinates with other Strand serveware, but only the newer production stock as there was a minor change in design around 2012.